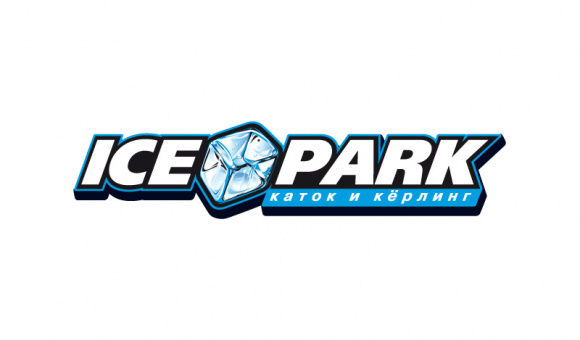 ICE PARK is a chain of ice arenas in St. Petersburg. Large skating rinks for public skating and the largest curling arenas in St. Petersburg. 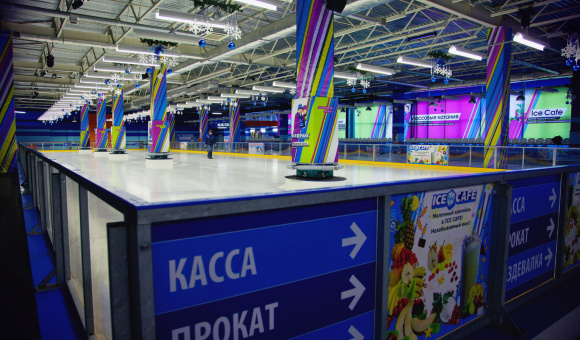 The ice rink area at ICE PARK at Merkuriy Shopping Mall is more than 1,000 square meters, and at Balkania Nova Shopping Mall – 2,000 square meters. Skates for rent, instructor-led training, public skating and figure skating classes. Convenient locker rooms on site. Curling fans can play on 2 professional curling sheets, making it possible for anyone to try their hand at this fashionable and fun sport. 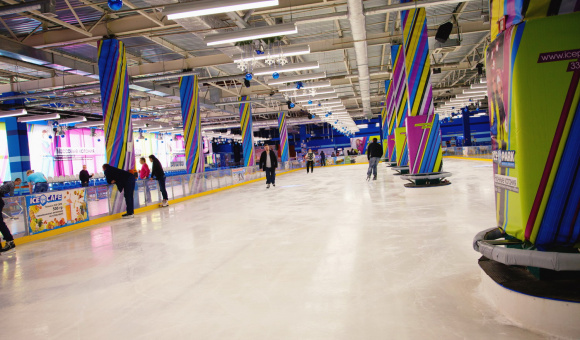 The center has a cozy café where visitors can grab a bite to eat in the break between skating and curling. 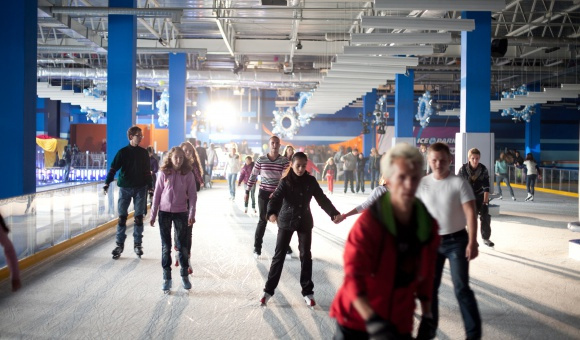 ICE PARK welcomes groups for corporate events and children’s celebrations. We can also organize corporate and amateur curling tournaments. You will also be offered the unique opportunity of playing a game of curling with current Russian champions (2013) – Adamant 1 Team, or 2013 world curling champions.